Created by Martine and Pierre, French Naturists with a passion for Italy, it is the very first Italian Naturist resort with no camping facilities and sets out to meet guests' expectations for an idyllic Naturist holiday. The resort is founded, and run upon, truly Naturist principles and ethics . Location : Close to the Brindisi airport (30 minutes) or Bari (1 hour), the Resort in Puglia is very easy to get to with regular flights from most UK airports (London Stansted, Gatwick or Heathrow for example). Pierre and Martine can arrange airport shuttles, car rental and road maps. The place : The Resort is located in an elegant Masseria (a typical old farm, set among hundred year old olive trees, with vaulted ceilings) and offers 9 cosy apartments sleep from 2 to 6 . They are perfect for families. Each apartment includes free WIFI, TV, cleaning every 3 days and beach and bath towels. Each apartment is equipped with nice kitchen, air conditioning, insect protection, hair-dryer, kettle and with a large terrace. Every morning, breakfast can be delivered. During all your day, different italian typical specialities can be served to discover the apulian great cooking. Do not hesitate to participate to the cooking lessons to discover all traditional local secrets. You can have a relaxing day at the pool enjoying the sun and the wondeful Mediterranean climate of the Region, or spend your energy by taking part at different activities such as aqua gym, running, cardio-training, running, table tennis. You can also play a game of chess at the giant garden chess. The Resort naturista Grottamiranda organizes specific Wellness Week Programs to have a complete relaxation. The resort is close to the Naturist beach and Nature Reserve of Torre Guaceto where there is small scale fishing and wonderful wild flora and fauna. The Puglia Region itself is steeped in culture and heritage, including Lecce - 'The Florence of the South', and the notable Castel del Monte, a unique UNESCO site. Don’t forget the town of Matera which has been chosen to be the “ 2019 European Capital of Culture”. Resort naturista Grottamiranda organizes many touristic tours for your pleasure, either by Vespa, or vintage Italian car !!!!!! Naturism in Puglia, it's a permanent quest of quality of LIVE and FOOD in a beautiful region that Pierre and Martine like you to discover. Far from mass tourism, the priority is to share with you all they love in Puglia : Conviviality, Cooking and beautiful authentic places. Parlano di "naturist beach"... non sono pratico di quelle zone, ma leggendo il topic dedicato alla Puglia mi pare che non ci siano vere e proprie spiagge naturiste... o sbaglio? La riserva naturale di Torre Guaceto l'ho visitata proprio quest'estate. 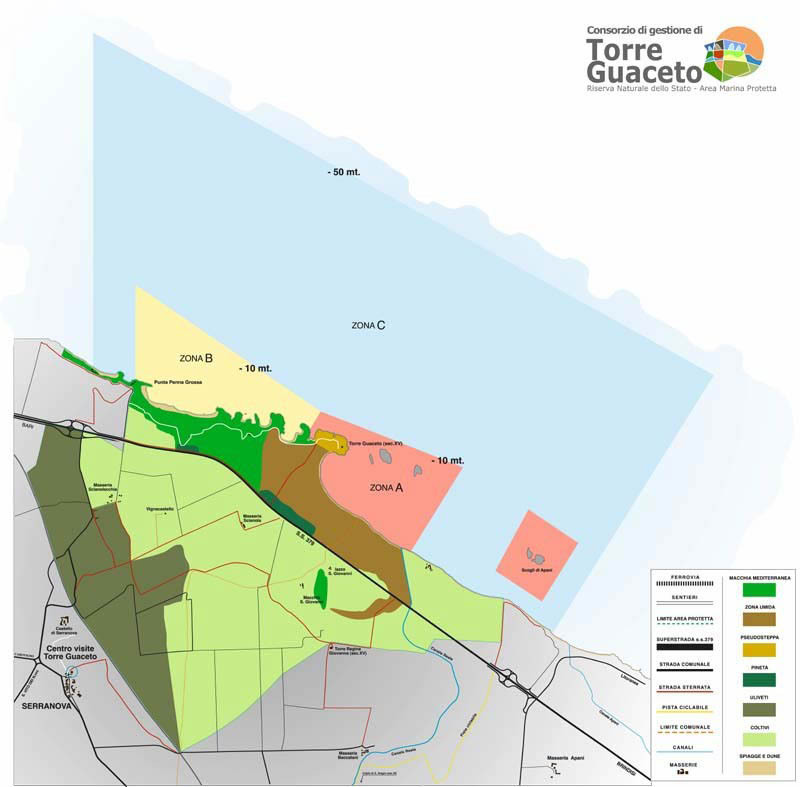 Non c'è alcuna area autorizzata al naturismo, anzi devo dire i nudisti e naturisti sostavano proprio nella zona a maggiore tutela ambientale, dove non si può neanche fare il bagno (e invece alcune persone, nudisti compresi, il bagno lo facevano anche con ingombranti materassini). Insomma non si può incominciare un percorso che porti ad una formale autorizzazione al naturismo di una porzione di quella costa se per primi noi nudo-naturisti non rispettiamo i vincoli della riserva naturale che vi insiste. Parlando con alcuni nudisti e naturisti del luogo, più o meno vicini all'ANAP, mi hanno detto che stanno pensando di spostarsi in altra zona, al di fuori dell'area a tutela maggiore, per iniziare anche un dialogo con chi si occupa della tutela ambientale (un consorzio comprendente comuni di Brindisi e Carovigno e WWF Italia). In poche parole noi nudo-naturisti bisogna spostarsi assoluatemente dalla zona A (riserva integrale, divieto balneazione) alla zona B (riserva naturale orientata) o meglio ancora C (riserva parziale).